Simply Cardio™ – Doctors Research, Inc. 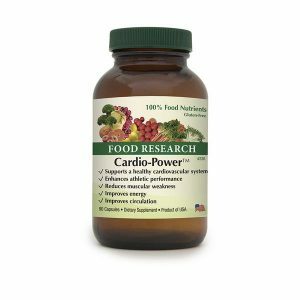 Simply Cardio is a 100% Food supplement that is intended to supply n utrients needed to maintain and support optimal heart muscle health. The heart pumps blood containing oxygen and other nutrients throughout the body. Bovine heart tissue naturally contains vital heart nutrients like co-enzyme Q10. Heart tissue is sometimes used by people with low blood pressure, overwhelming fatigue, people who need strength, people who feel cold, and athletes interested in improved performance. It is normally best not to take heart tissue late in the day (at breakfast and lunchtime is best for most people), as any heart glandular support product can affect sleep if taken late in the day . Heart tissue, if appropriate, tends to show its benefits rather quickly (within a week or two for most people), though this varies. Heart tissue has historically also been used as an aid in glucose uptake and the manufacture of ATPs. Some of the best natural health products contain glandular ingredients and many doctors have used glandulars for years with great success. Glandular organs, such as heart, aorta, and liver, have been a food source in the human diet for centuries. The consumption of glandulars is believed to provide nutritional support to the corresponding gland in the human body. Glandular therapy has alternative names such as: organotherapy, cell therapy where extracts are injected; and live cell therapy which normally uses extracts orally or intravenously. Glandulars contain nutritional peptides, enzymes, and substances believed to be hormone precursors. Although some believe that oral consumption of dried glandulars is no different than consuming any other protein-containing food, this belief appears to be based on the fact that the stomach breaks down proteins into their constituent amino acids and that there is no benefit from consuming foods containing specific peptides. However, this belief ignores the fact that some ingested protein is not broken down into its constituent amino acids. Evidence suggests that with oral consumption of glandular extracts, a small percentage (5-10%) of their peptides are not broken down into their constituent amino acids but are available for intact absorption in the small intestine [16-19]. A small amount of these absorbed peptides then circulate and some of them appear to assist the human body (especially for ill persons) in performing various anabolic and catabolic processes [15-19]. Howell and others have reported that the amount of enzymes that pass through the stomach is even higher (nearly 50% ). 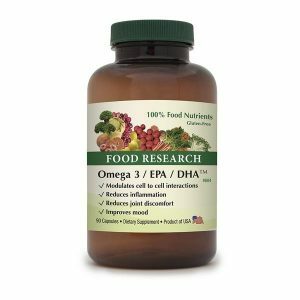 Howell has also reported that individuals with significant health problems have been found to have lower levels of enzymes than healthy individuals and that oral enzyme supplementation has been helpful for many such people . 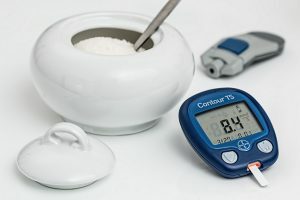 Although this position is not universally accepted , a study in the Journal of Surgery showed that oral pancreatic supplementation resulted in improved enzyme and growth levels for children who had a pancreaticoduodenectomy . Recent papers have suggested that bovine glandulars may be helpful for thyroid support , myoclonic seizures , and even CHARGE syndrome . Some glandular extracts also contain small, safe amounts of hormones that may contribute to their possible effectiveness. The thymus gland contains thymic hormones which Schulof found may enhance immune response for people with HIV . It should be noted that many substances contained within animal tissues are similar or identical to their human counterparts [1,25-27], including certain enzymes  and even T cell gene regions . One advantage of glandulars over herbs is that raw ovine (sheep) and bovine (cow) glandulars often contain enzymes that are identical to those in the human body, while herbs rarely do. Some research indicates that protein contained within cow’s milk appears to slow the growth of certain human toxic cells ; also cows do not appear to get breast cancer . Thus it may be reasonable to conclude that other substances contained within or derived from bovine/ovine sources may be helpful for other human diseases. It should be noted that when Harrower used the term “hormone” this probably should be interpreted to also include nutrients, both known and unknown, including enzymes, peptides, and hormone precursors. Harrower referred to vitamins (then newly discovered) as “plant hormones” and he called hormones the “active principles obtained from certain glands” . “There is a lot of controversy about the activity of glandulars given orally…It appears the effectiveness of glandulars comes in a multi-facteted way. These facets may be grouped into three basic categories: A. Hormonal; B. Enzymatic; C. Nutritive…Any gland given for therapeutic use should contain the whole nondenatured gland…The hormones are at the same strength as those found in the natural organ, except that the water has been removed leaving only the dried concentrated tissue. These hormones fall into various categories and forms: 1. Steroids; 2. Peptides; 3. Catecholamines; 4. Amino Acids; 5. Prostaglandins; 6. Nucleotides. Their hormonal factors can be broken down into two categories: A. Lipid soluble hormones; B. Water soluble amino bases and acids…The problem with steroid or prostaglandin therapy is that the medical sciences have removed them from the naturally occurring matrix which has a fine balance of steroids and prostaglandins. There is a natural law which applies in the universe and even more so in biochemistry. For every biochemical reaction or mechanism, there is an opposing ‘feedback’ mechanism. For this reason the balance must be maintained and taking glandulars are both therapeutic and very safe since this balance is maintained. It is only when the hormones are isolated and given in large doses that side effects take place, such as ulcers in steroid therapy or liver destruction in synthetic testosterone therapy. The second class of hormones is more diverse, but just as effective and important. These are the polypeptides and phyiogenic amines such as neurotransmitters and catecholamines …And the incredible thing about these peptides is that they become more active upon digestion. They are normally secreted in long chain proteins which are then broken down into endorphins which are then digested by specific proteases into the active hormones …Therefore, most of the protein is assimilated in peptide form not amino acid form. What this means is that glandulars can actually be activated by digestion” . It should be noted that bovine thyroid does not itself contain substantial amounts of thyroxin which is why it is appropriate to feed the human thyroid gland. Many raw glandular preparations contain substances that can facilitate the conversion of various susbtrates into hormones. Cooking destroys enzymes . The primary difference between raw and desiccated glandulars is the enzyme content . “1. Processing is very important in maintaining enzyme activity; 2. Digestion is required to activate enzymes and peptides…how are they absorbed? …they are absorbed through standard biological processes. Up to a third of your food is absorbed through the lymph system. This is basically an open portal system which permeates through the entire digestive tract allowing large molecules such as fat micelles, enzymes, and other molecules to pass into the blood stream. Other routes of absorption are active transport mechanisms such as chemotaxis…another route is immune-absorption where the protein or molecule combines with another protein and is carried in piggy back…The third category for glandular therapy is as a food…They are rich in protein and minerals and B-complex” . It should be noted that when, for example, an adrenal enzyme reaches the toes basically nothing happens as the adrenal enzymes (as well as others) are specific to, in this case, the adrenal glands. Once reaching the adrenal glands, they help the adrenal glands through various anabolic and catabolic reactions. Animal glands have been consumed since the beginning of history , and even now scientific studies involving them are being published [e.g. 32]. “Glandular products have been produced and used in the U.S. for over 60 years with absolutely no reports of microbial contamination or resultant illness” . They are consumed in many countries, including the U.S. as food [31,33]; they may even contain substances to reverse diseases associated with Western diets . Regarding glandulars, it has been reported that, “overdosing is not a concern. Even when excess amounts have been ingested, the body can easily deaminize them” . 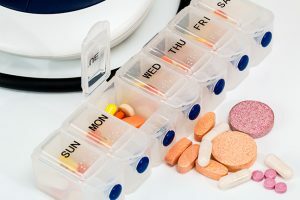 A search of the literature found one report (in a letter to the editor) of a single, temporary complaint; the glandular raised thyroid hormones levels which normalized when consumption was discontinued, from using a thyroid glandular product combined with lithium, but the daily consumption (45 tablets) was in excess of any reasonable consumption (daily quantity of thyroid hormones present: 0.5mg T4 and .09mg of T3) . No long-term, negative side effects from taking glandular supplements are known . Glandulars supplements can be made in several ways. The cheapest way is through desiccation, which essentially dries the glandular at high temperatures. The biggest problem with desiccation is that it destroys all the enzymes that are in the tissue. Desiccation may also destroy other active substances contained within the gland. 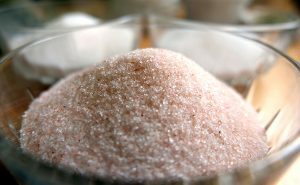 Some companies use a salt-drying process, but this tends to result in glands with a high sodium content which can cause digestive complaints for adrenal-containing products. One of the most expensive ways to produce glandulars is through a non-heat, vacuum-drying process (which is how our glandulars are dried). This low temperature process helps preserve many of the naturally-present enzymes. Natural health doctors generally prefer non-heat drying methods to desiccation even though that does increase the cost of the product. Non-heat drying results in a glandular that is the closest to ‘whole food’. New Zealand and Argentinean farmers tend to raise their cows and sheep naturally. The animals almost exclusively consume unfertilized natural grasses as are found in the pastures of those lands. Neither New Zealand nor Argentina has ever had a case of BSE (bovine spongiform encephalopathy) nor scrapie, a similar disease found in sheep [34-37]. 1) Doctors using them have a history of receiving positive results from people with a wide variety of disorders. 2) Bovine/ovine tissues are commercially available. 3) Bovine/ovine glandulars have a long history of being safe to consume. 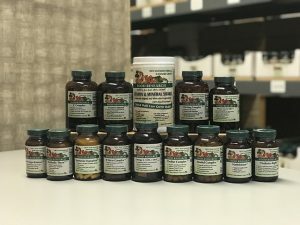 4) Bovine/ovine tissues are considered to be dietary supplements under the Dietary Supplement Health and Education Act of 1994 (DSHEA) and as such are not considered to be food additives. 5) Earlier research has demonstrated that heterologous tissues (such as bovine/ovine for humans) do not produce the adverse and possibly toxic side effects that more homologous tissues can (such as simian for humans) . 6) Some earlier research suggested that immune response in humans was improved at a much greater rate with the use of substances from ruminant sources (bovine and ovine) as opposed to non-ruminant sources (simian and feline) . At least one researcher reported long ago that rat tissue extracts also appear to cause a variety of problems when forced into some animals . Clinically, ovine and bovine glandulars are also preferable to porcine (pork) glandulars as followers of many religious faiths (Islam, Judaism, Seventh Day Adventists, and various Churches of God) will not consume pork, but will consume meat extracts from sheep or cows. Why Aren’t They Used More? Since glandulars combined with herbs tend to work faster and sometimes better than herbs alone, why aren’t glandulars used more? One reasons is that, generally speaking, glandular ingredients cost more money than herbal ingredients (though they cost much less than Food vitamins or Food minerals). Many companies simply will not use them for that reason. Another reason is many people believe that plants are always the answer. And although for some problems they are, they are not always the best choice as plants almost never contain identical glandular enzymes. Glandulars can help the health of many in ways herbs alone sometimes cannot. Some of these studies (or citations) may not conform to peer review standards (though most do). Therefore, the results are not conclusive. Professionals can, and often do, come to different conclusions when reviewing scientific data. None of these statements have been reviewed by the FDA. All products distributed by Doctors’ Research, Inc. are nutritional and are not intended for the treatment or prevention of any medical condition. Other ingredients: Fatty Acid from Palm Kernel, Plan Polysaccharide, Silica, Digestiv Aid. Contains no Magnesium Stearate.